Proof No Proof Yes Proof! 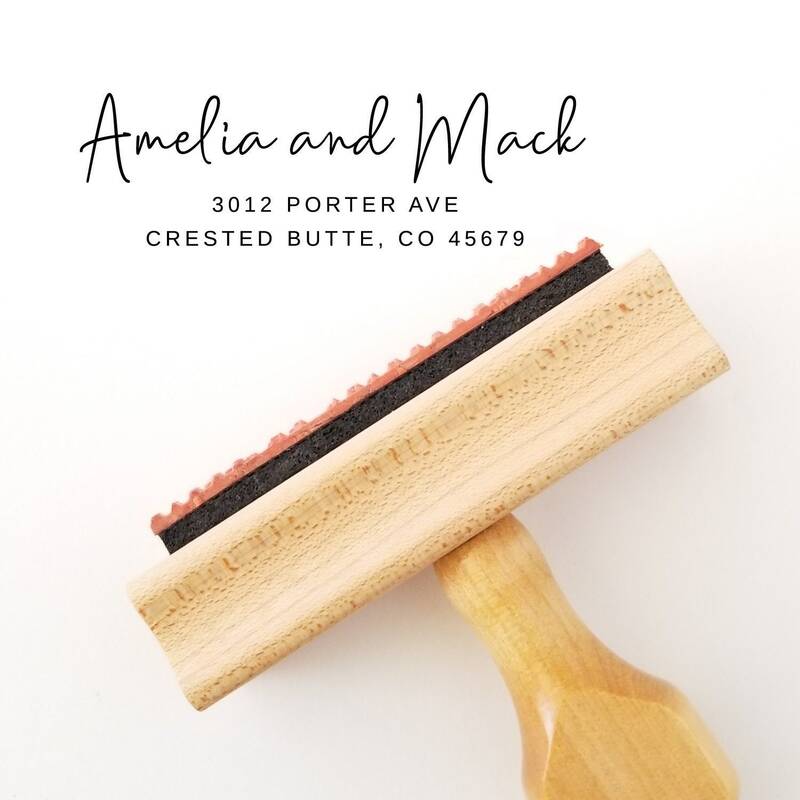 This address stamp is perfect for stamping wedding, personal or business envelopes. Size up to 2.5" x 0.77". 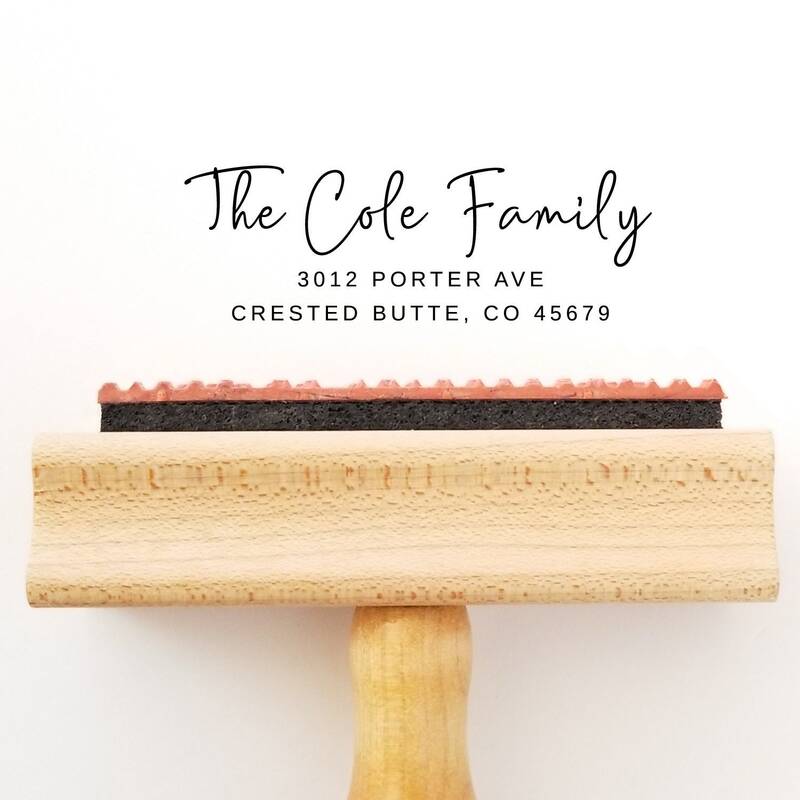 We'll personalize your stamp using one or two names or with initials. Perfect new home gift. Smooth transaction, great selection, and a high quality stamp. Thanks! I absolutely love my new stamp! The shipping was quick too. This is my third purchase from this shop - and it won't be my last! 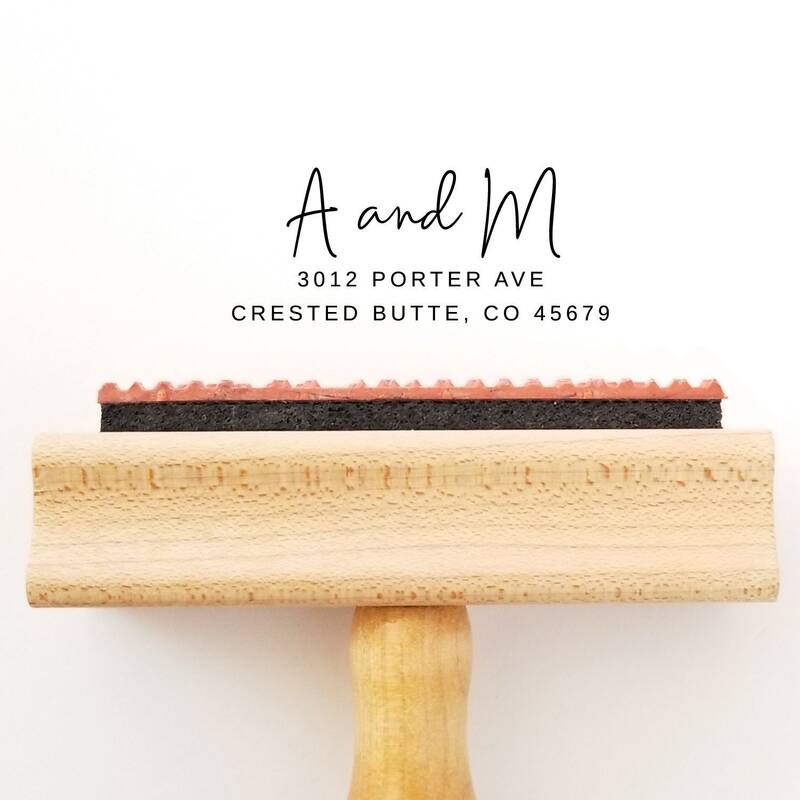 We love our stamp! It will make the addressing process for our wedding go quick! The quality is very nice and it came in fast! The stamp was exactly as depicted in the photos. It arrived very quickly! I am so excited to use it!